Football season may be coming to an end, but that only gives us more reason to celebrate! Did you know, 325 million gallons of beer are consumed on Super Bowl Sunday? Whether you’re contributing to that statistic or reaching for something stronger, there’s so much to look forward to in San Diego on February 3rd. It’s safe to say every sports bar and restaurant will be overcrowded with football fans for the annual event. 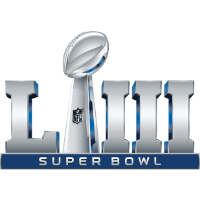 Super Bowl activities include all-inclusive watch parties, golf and bowling tournaments, tailgate parties, and house parties with close friends and coworkers. We encourage you to eat great food, sip on your favorite beverages, be safe, and most importantly have fun with your family and friends!